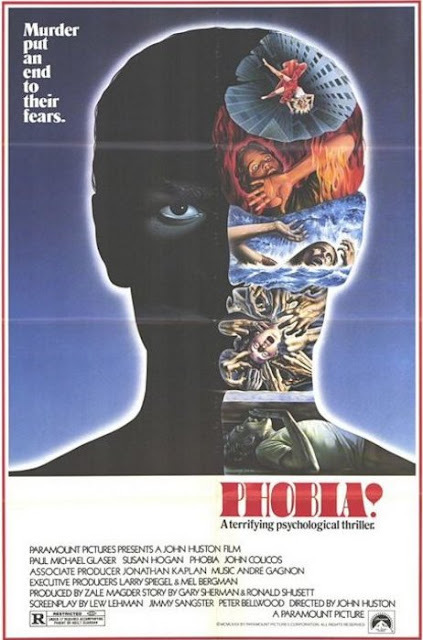 Kino Lorber has announced that they will be bringing John Houston's Phobia! to DVD and blu-ray. While no exact release date has been given, it is safe to assume that it will be sometime in spring of 2019 (given that there is no date or any specs given). The film, starring Paul Michael Glaser, Susan Hogan and John Colicos and concerns a psychiatrist treats his patients - sufferers from agoraphobia, claustrophobia, acrophobia, a fear of snakes, and a fear of man - with radical therapy in which they confront their fears by watching them on a large screen. The result is that each patient is driven to commit violent acts, and each dies by what he most fears. This news article will be updated as soon as we get new information. Couldn't find an English trailer for the film, so here is the French trailer.